1. Proven sire with outstanding, high performance off-spring. 2. 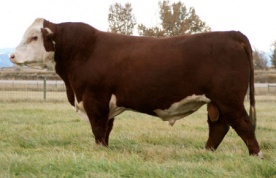 Progeny are moderate frame size and are thick and wide.